Welcome to Jim’s Fire Safety New Zealand. We’re a team of trained safety testing technicians who work in locations all around New Zealand. Our capable team members carry out inspection and maintenance services for businesses across the Nation. If you’re looking for someone who can take the stress out of your workplace compliance requirements, you’ve come to the right place. Our specialised fire safety testing technicians can visit your business and complete a full assessment of your fire protection equipment. 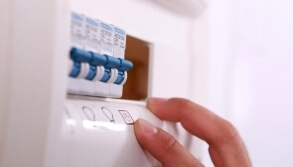 All of your appliances will be maintained according to the current New Zealand safety standards. We’ll make sure your equipment is safe for use on the day of testing and book in your next appointment for ongoing support. For fire equipment services with a smile, contact us today. We’re a group of passionate safety testers. Our technicians love to contribute to their local communities by spreading fire safety protection and awareness. As an organisation, we enjoy building long lasting relationships with all of our clients. Let us manage your property for years to come – your safety is our business. Fire equipment testing is an essential part of maintaining safety in your building. Imagine that a fire does break out in your building. Valuable minutes could be wasted trying to use faulty or in accessible equipment. Most small fires can be controlled with the use of hand operated firefighting equipment. Minimise property damage and protect your employees with our essential fire protection services. At Jim’s Fire Safety, we test and maintain portable fire protection equipment according to the current national safety standards. New Zealand government legalisation requires all businesses to install and maintain their hand operated firefighting equipment in accordance with a series of national safety standards. 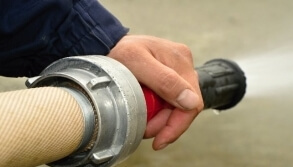 Our fire extinguisher inspection, fire hose reel testing, and fire blanket inspection services are all completed according to the NZS4503:2005 standards for hand operated firefighting equipment. In order to complete Jim’s Fire Testing Services, we induct all of our employees with a rigorous training program. After that training is complete, every technician is kept up-to-date with any changes to the standard or improvements to fire protection equipment. When you work with our team, you’ll always be on top of your workplace safety requirements. Simply get in touch with us if you have any questions about your fire protection testing obligations. One of our experts would be happy to answer your enquiry. 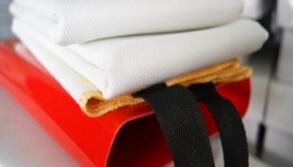 With Jim’s Fire Safety, you can be sure that you will meet your ongoing compliance requirements. After we’ve completed each test, you’ll receive a detailed log-book of results. This report will contain information about how your equipment performed on each part of the test and each item will be assigned either a pass or a fail. We’ll give you a copy of the fire equipment testing report and keep a copy on file so you can always access it when you need it. This is all a part of our unique data management system. We’ve made it as easy as possible to track your fire protection testing requirements over time. We can provide you with a digital/downloadable copy of your report or a hardcopy – just consult with your local technician and we’ll take care of the rest. 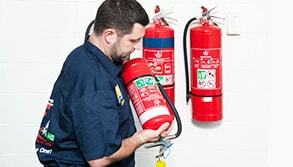 Choose our fire protection services and make you compliance routine as efficient and organised as possible. This way, if an inspector visits your property, you’ll have all the supporting documentation you need to pass with flying colours. Thinking about a career change? We have plenty of opportunities to join the fire safety testing business. If you’re the right fit for our group, you could start a new adventure in a career with flexibility, financial reward, and genuine human connection. We’re passionate about people. Join us today and choose the way you spend your time. In our opinion, there’s nothing more rewarding than doing what you love whilst spreading safety and awareness. The opportunities are endless with a Jim’s Fire Safety franchise. We’re always on the lookout for passionate individuals who have technical knowledge, excellent customer service standards, a keen mind for business management, and the ability to work in a team. Even though you’ll complete fire testing services on your own, you’ll always be supported by an entire network of Jim’s franchisees. 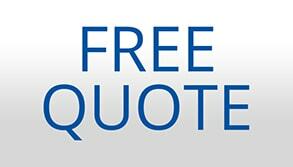 Whether you’re looking to make a franchise enquiry or you’d like to request a free quote, get in touch with us today. 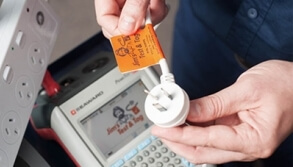 Browse through the rest of our website for more specific information about our range of fire safety testing services.